Stepping Stones is open Monday to Friday 7.00am to 6pm. All children must attend a minimum of two days a week, this has been established to ensure your child develops a strong sense of belonging at their Stepping Stones home, knowing the routines and developing strong bonds with the children and educarer. Sessions will be booked in quarter hour increments. Drop off and pick up times are booked in – please let your educarer know if you are going to be dropping off or collecting your child later than they are booked – there will be a charge for late pick ups. The fees for Stepping Stones are $7.50 per hour and will include all meals. If your child is 3 – 5 years old and you choose to use the 20 Hours ECE Subsidy the optional charge for the first 20 hours (but no more than 6 hours a day) is $3 per hour. This covers homemade meals, excursions and sunblock. We also accept WINZ subsidies. Our team members can answer any of your questions. 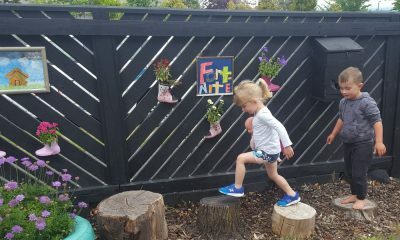 To register your child for My Treehut or Stepping Stones, please complete our online Expression of Interest form and one of our team will be in touch. Stepping Stones is part of My Treehut Ltd a private, fee charging educational service. Failure of parents to follow the rules regarding fee payments may lead to their child’s exclusion from the centre. There is a $120.00 enrolment bond when enrolling your child to secure their position. Your enrolment bond will be deducted off your final account if the correct notification procedure has been followed. If your child’s position becomes available at Stepping Stones and you do not wish to accept it your enrolment bond is non-refundable. Please pay this bond into our BNZ account: Stepping Stones, 02-0644-0153280-001. If you are planning to withdraw your child from Stepping Stones you must give one month’s written notification to receive your enrolment bond deduction. 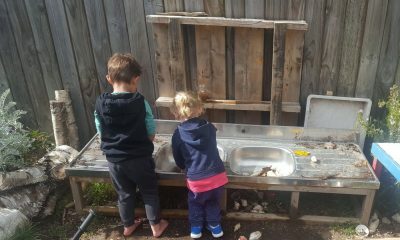 This can be emailed to admin@mysteppingstones.nz. Each child is entitled to 3 weeks absence free of charge. Days of absence in excess of this are charged in full. Parents/guardians/caregivers are responsible for the payment of fees, irrespective of any third party arrangements eg WINZ. Your child’s enrolment will be suspended if fees are unpaid for a two week period and will not become active again until outstanding fees are paid in full, unless an alternative agreement has been reached with management. All fees are GST inclusive and are to be paid by automatic payment directly into the Stepping Stones bank account a week in advance. These payments must be made by the Thursday for the week ahead to avoid a 10% penalty. Stepping Stones has a minimum booking of at least 4 hours per day for two days a week. Holding Fee. Where a child is to be absent from the centre for a period of 3 weeks or more a holding fee of 50% of the child’s normal weekly fee is payable – this must be arranged with management in advance. Stepping Stones will notify of any dates of closure. No fees are incurred during this closure. Stepping Stones reserves the right to change fees at any time – you will receive two months notice in advance of any adjustments. Any fee changes will be entirely at the discretion of the management. Change of enrolment days and times – If you wish to change your child’s enrolled days and times of attendance, you must email your request to admin@mysteppingstones.nz. You will be notified when this request will be auctioned (this is dependent on availability). Stepping Stones charges an optional charge on top of the 20 hours ECE to cover excursions (unless a one off charge is necessary), sunblock, home made meals and specialist art equipment. Late fees: For children who are continually picked up late, either after their booked collection time or after 6pm closing, their parents will incur a late fee penalty. Parents agree their child is not enrolled in any other early childhood service on the same day they attend Stepping Stones.